In the last few days, more than a few members have written me to ask if I could use my data analysis skills to help them connect more with their Bagels, rather than always talking about bigger dating trends. Point taken. So this week, I would like to share a few things I’ve learned over time that have helped me personally improve my own chances of connecting with Bagels. And the surprising thing is – some of them are REALLY easy to do. 1. Have at least 3 photos – your chances of getting LIKED back will increase by 31%. We analyzed the ideal number of photos and it turns out it’s a minimum of three. Profiles with at least three photos are 31% more likely to result in a LIKE than profiles with just one or two photos. And the key here is to have a DIVERSE set of three photos – a photo with a smile, a photo that shows your full body, a photo where you are playing with a dog, a photo of you outdoors, etc. Don’t use only face shots, all sunglasses shots, etc. 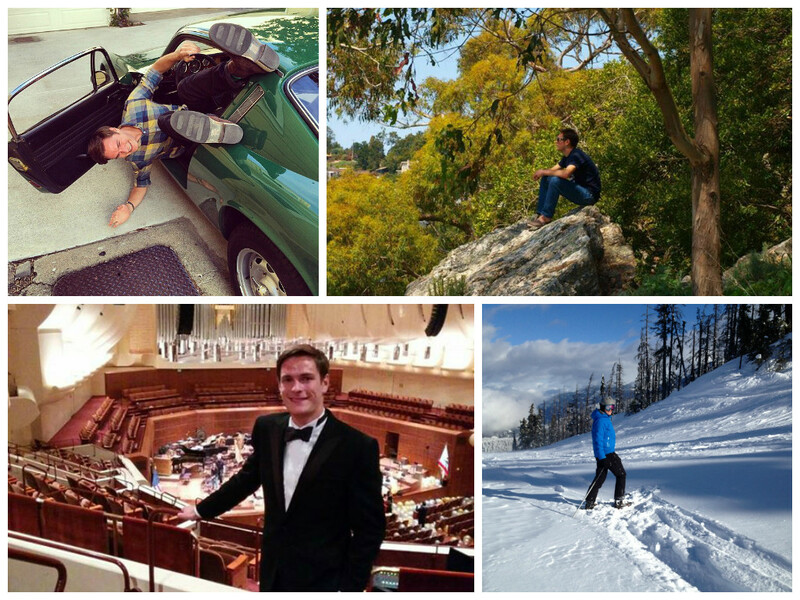 Here are profile photos of one of Coffee Meets Bagel’s engineers, Barney – dressed up, being goofy, and traveling – you get the point. Bonus tip – INSTAGRAM your photos!! They look so much nicer. I don’t have a specific statistic to prove this one but, not surprisingly, your first photo matters A LOT. It doesn’t matter if you have a clear face shot as your 2nd, 3rd, and 4th photo – if your first photo is blurry, from far away, you’re wearing sunglasses, etc. it may (sadly) be a lost cause. Experiment with your 1st photos! Try switching orders at a minimum. The top 10% most LIKED profiles were 35% longer than the bottom 90%. Write at least a few words about who you are and what you’re looking for. Again, here is an example from Barney’s. Look familiar? With GIVE, your friends can GIVE you Bagels they think might be a good match for you and vice versa. When your friend GIVES you a Bagel, you are essentially getting another Bagel for free on that day! In addition – it turns out your friends are great matchmakers. When your friend GIVES you a Bagel, the average probability of you LIKING the Bagel is 77% vs. 44% on our algorithm-generated Bagels. OK, I know this sounds totally self-serving. But facts are facts. It’s a fact that when matches share at least 1 mutual friend there is 47% more likely chance that that both parties will end up LIKING each other as opposed to when they don’t share any mutual friends. 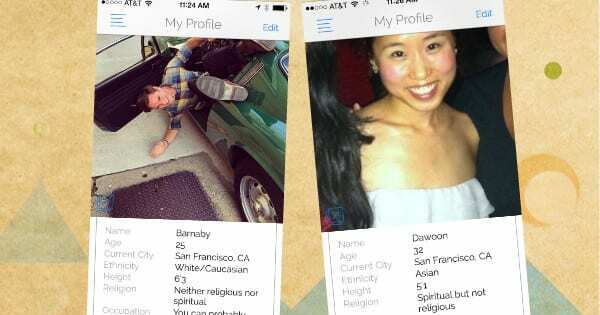 So it really is better for you if your friends and friend’s friends are also using Coffee Meets Bagel. 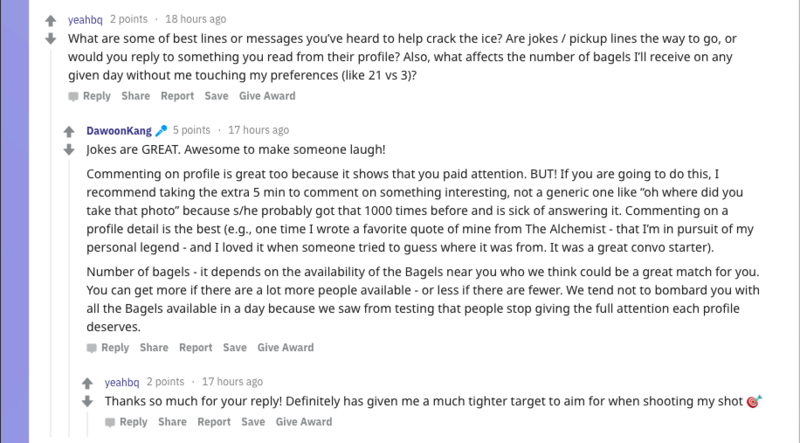 In the last few days, more than a few members have written me to ask if I could use my data analysis skills to help them connect more with their Bagels, rather than always talking about bigger dating trends. Point taken. So this week, I would like to share a few things I’ve learned over time that have helped me personally improve my own chances of connecting with Bagels. And the surprising thing is – some of them are REALLY easy to do. We analyzed the ideal number of photos and it turns out it’s a minimum of three. Profiles with at least three photos are 31% more likely to result in a LIKE than profiles with just one or two photos. And the key here is to have a DIVERSE set of three photos – a photo with a smile, a photo that shows your full body, a photo where you are playing with a dog, a photo of you outdoors, etc. Don’t use only face shots, all sunglasses shots, etc. 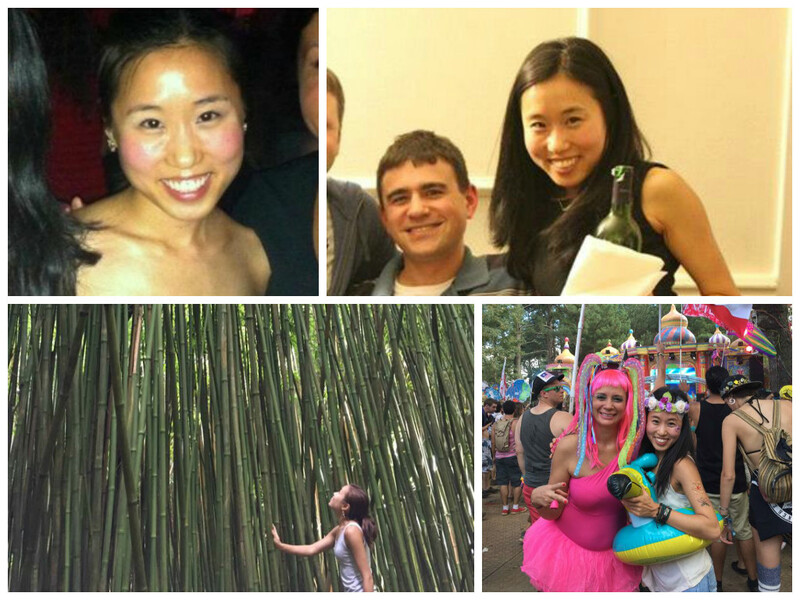 Here are mine – dressed up, at a music festival, and traveling – you get the point. Bonus tip – INSTAGRAM your photos!! They look so much nicer. I don’t have a specific statistic to prove this one but, not surprisingly, your first photo matters A LOT. It doesn’t matter if you have a clear face shot as your 2nd, 3rd, and 4th photo – if your first photo is blurry, from far away, you’re wearing sunglasses, etc. it may (sadly) be a lost cause. Experiment with your 1st photos! I changed my 1st photo from the left one below to right one and for whatever reason it increased my connection rate significantly. The top 10% most LIKED profiles were 35% longer than the bottom 90%. Write at least a few words about who you are and what you’re looking for. I don’t think mine is that great but here is an example, in case it helps. Look familiar? With GIVE, your friends can GIVE you Bagels they think might be a good match for you and vice versa. When your friend GIVES you a Bagel, you are essentially getting another Bagel for free that day! In addition – it turns out your friends are great matchmakers. When your friend GIVE you a Bagel, the probability of you liking the Bagel is a whopping 61%! 5. Get more of your friends to get their single friends on Coffee Meets Bagel! 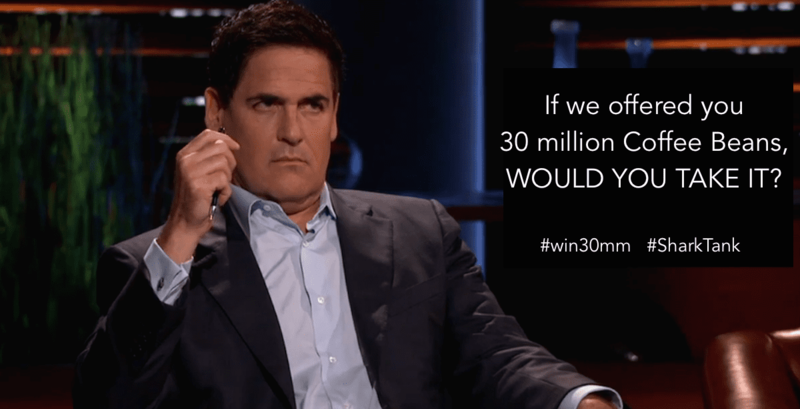 Win 30 Million Coffee Beans In Celebration of Shark Tank's $30mm Offer! Yes, you read that right! We are giving away THIRTY MILLION Coffee Beans! Why? Because Mark Cuban offered $30mm to buy out Coffee Meets Bagel on Shark Tank and we rejected the offer! Who? One lucky winner will be chosen among new members who sign up between January 9th and January 18th. Who else? Whoever invited the winning member to Coffee Meets Bagel will also win 30mm Coffee Beans! When? The winner will be announced on Monday, January 19th! 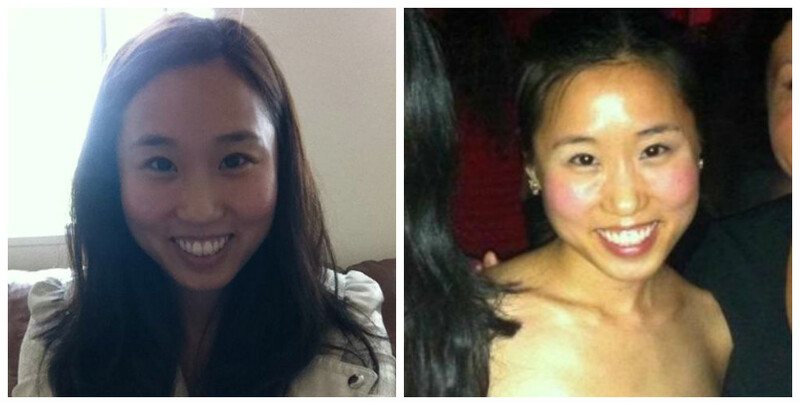 Coffee Meets Bagel's CEO Arum Kang on TWiST! True, our daily matches do give you lots of chances for first dates — and don’t you need that first date to see if round two is worth a shot? The problem with 21st century dating is not that singles can’t score second dates and more – the real problem is there aren’t many opportunities to connect with new quality singles. Ironically, when we have many friends to hang out with and too many things to do, we have less time to make new connections. Our members crave to meet new, interesting people, and we love helping them make that initial connection. A critical difference between CMB and other dating services is that there is no “browsing;” you simply get one person a day. 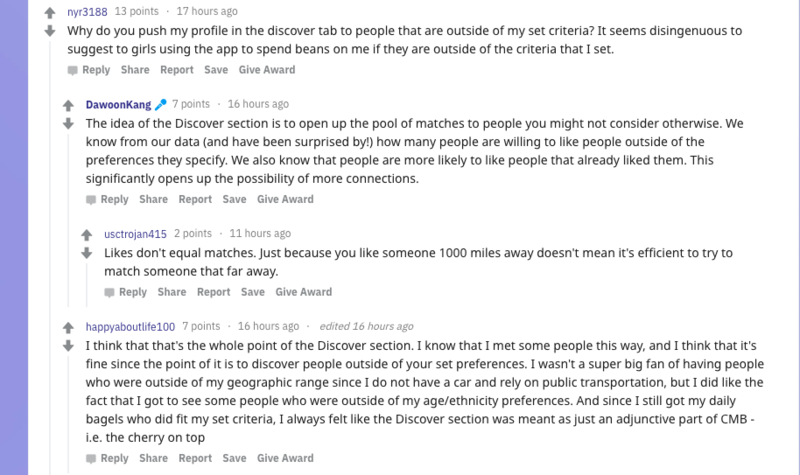 Copperman explained how this can be disconcerting, but our philosophy is that the lack of browsing makes a person on CMB a lot more special because you’re not amongst one of the thousands of people being sorted through. 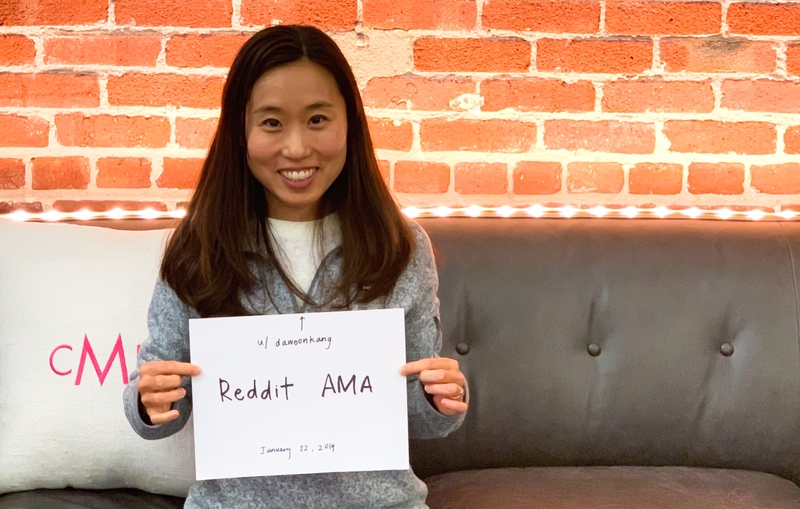 The piece also made a good point – is CMB a site that helps you in “finding the one” or just “finding the one you want to have coffee with.” To us, someone we want to have coffee with is a great start to finding the one — because relationships and chemistry is hard to predict, and you just never know. There are a lot of dating sites out today, as Copperman noted. 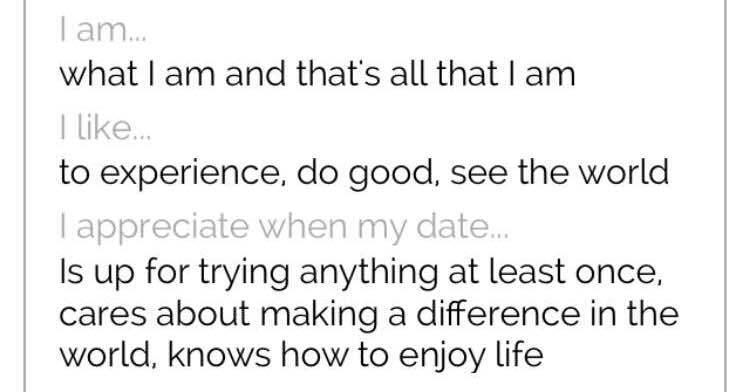 A common response I get when I tell people that I run an online dating company is “I don’t do online dating.” I always respond by asking, “Why not?” I think everyone who is single and looking to meet others should be doing so both online and offline; dating sites are just additional channels to meet who you are looking for. Many people are concerned with overwhelming profiles and meeting creeps online. I founded CMB so I could address both concerns – It’s easy and simple— 3 minutes a day to check in, done. And there’s no creepy factor because our matches are your friends of friends! OK Gorgeous has always been one of my go-to sources for cheeky news – and we at CMB dug the feedback from a straight-talker like Copperman. A critical eye is what makes us keep striving to make our site better for our users. As always, feel free to share your thoughts, comments and suggestions with us at [email protected]! The dating service industry is worth more than $2 billion and is constantly growing. Yet the stigma attached to the word “online dating” never seems to diminish. There are some good points made by those who disapprove online dating. Here is an article that lays out why online dating is a mis in providing people with chances for true romance, mainly based off an interview with Eli Finkel, an associate professor of psychology at Northwestern University. 2. Questions the accuracy and reliability of the algorithm online dating sites are using, and believes the algorithm does not produce any better results than meeting someone in random. I think Finkel has a point here. Coming through endless lists of profiles that may or may not come with long essays about their lives and personalities (self-reflected…i really question how accurate that is in some cases) can get nauseating and time consuming. It’s already off to a bad start when you feel drained even in the process of getting started before the actual date. That’s why we pride so much in what we are and what we do. 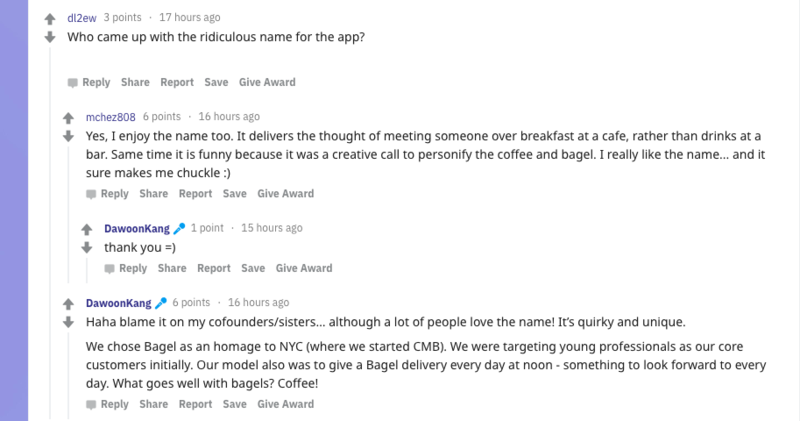 Coffee Meets Bagel cuts down the time and work our members have to do. We too strongly disapprove the idea of “shopping” for your potential romantic interest and even more so of being drained out and discouraged during the process of meeting someone. That is why we would rather be called as an online social gaming platform where people meet, build their network, and hopefully find love on the way. We’re not an “online dating site” where people shop for love. We make it happen by connecting people quickly as possible and allowing them to SPEAK and COMMUNICATE with each other to find out who they really are. No lingering behind profiles and guessing. ‘Single’ or ‘In a Relationship’… does it really matter which one you put up as your Facebook status? After reading an article on USA Today I’ve realized both singles and couples get involved in drama over Facebook’s relationship statuses. For singles, it’s a question of whether or not you indicate you’re single on your profile. Does it seem too desperate to say you’re single? Yet you want others to know you’re available, so what do you? For those who are in relationships, is it necessary to report to the whole world that you’re in a relationship? Maybe one person in the relationship wants to make it official by locking the other down on Facebook and the other person can think it’s unnecessary and immature. Yet, if you are already in a relationship where your close family and friends already know of it, why wouldn’t you announce it on Facebook? It is just a Facebook update, right? I do understand dealing with random people’s comments under the status update can be annoying and time consuming but if your girlfriend or boyfriend really wants to show everyone you two are together why not do it? I’ve seen so many people talk about Facebook’s relationship statuses and what it meant if somebody didn’t show their true status. I say, the best thing to do is not post your relationship status at all. That will eliminate all drama from the source! What is your take on relationship status updates? Referrals: The best product validation? It’s been 3 weeks since our launch on Valentine’s day! I’m so thrilled to see this community grow over time. I’ve gotten to know some of them personally and though I have never really met anyone in person, I already feel as though I know some of them. This is a great platform for US to meet new people too! I wanted to make sure that I keep our community updated on our progress. One important metric that we have been following is the number of referrals we’re getting from our existing members. Because we are still in private beta, our community has been growing organically through word-of-mouth. It’s been extraordinary to see how many referrals we have been getting! About 40% of our members (both approved and those waiting to be approved) have referred us to at least one of their friends. On average, they invited 5.7 friends! Honestly, I don’t have other benchmarks to understand where this stands. Is it off the chart? or standard among online products? I can bet that it’s pretty darn high for any social dating services. I tend to be very picky with products I recommend to my friends, so I appreciate deeply that our members have been so proactively sharing and talking about us with their friends. I am following up to see how these numbers differ by gender. I have a sneaky suspicion that our female users have been much more active in referring us than our male members but that is a yet to be proven! Guys, please prove me wrong! I want to take this opportunity to thank our members again for being our early users, fans, and advocates! We will do our best to keep up with our promise to bring fun and ease back to your social life.